Windows Phone 7, Microsoft’s three-years-late response to Apple’s iOS, is officially being released in Europe today, and even though America won’t get the first WP7 handsets until November, the European release means that review embargoes are over and the first blushes are starting to trickle in. The good news? Most reviewers agree Windows Phone 7 is a significant improvement over its predecessor, and even a pretty smart mobile operating system… but it’s still about a year behind iOS. In our original preview, we said that Windows Phone 7 didn’t quite feel like a complete smartphone OS yet. We’d like to come back and report that it finally has the fit and finish of a fully realized product, but that isn’t exactly the case. 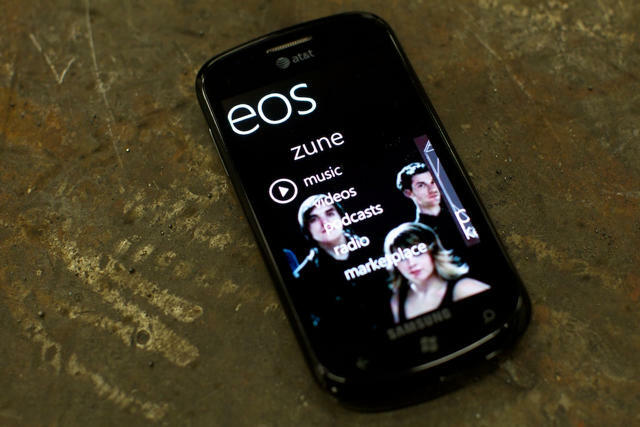 Don’t get us wrong: there’s a lot to like or even love in WP7. Microsoft has done an outstanding job with lots of aspects of this UI, particularly when it comes to navigation and ease of use — but there are holes here as well. It still feels like the company is a good year behind market leaders right now, and though it’s clear the folks in Redmond are doing everything they can to get this platform up to snuff, it’s also clear that they’re not there yet. Overall, I can’t recommend Windows Phone 7 as being on a par with iPhone or Android—at least not yet. Unless you’re an Xbox Live user, or rely on Microsoft’s SharePoint corporate Web-based document system, it isn’t as good or as versatile as its rivals. Interestingly, though, Gizmodo was absolutely blown away… but still expressed caution in recommending Windows Phone 7 handsets over the iPhone. Windows Phone 7 is really great. A solid foundation, it’s elegant and joyful. True, a lot of that greatness is potential. But if anybody can follow through on their platform, it’s Microsoft. Should you buy this instead of an iPhone or Android phone though? In six months, after the ecosystem has filled out, the answer will be more clear. But right now, Window Phone is definitely an option. Considering where Microsoft was just a year ago, that’s saying a hell of a lot.